The key to making both fiction and nonfiction real for the reader is subtle but crucial: world building. Maps, no matter how rudimentary, are the foundation of world building in my writing process. The first map of what eventually became my world of Neveyah series emerged from a conversation with a game designer and was scribbled on a piece of note paper in a Starbucks. I transferred the scribble to graph paper, and over time, that map grew, evolving into a full color relief map of the world as it exists in my mind. I love maps. Since that early scribble, my maps all start out in a rudimentary form, just a way to keep my work straight. I use pencil and graph paper at this stage, because as the manuscript evolves, sometimes towns must be renamed. They may have to be moved to more logical places. Whole mountain ranges may have to be moved or reshaped so that forests and savannas will appear where they are supposed to be in the story. And that tendency for embellishment and evolution in the story teller’s mind is what has led to my most embarrassing moment of the week. I went back to the original manuscript of Mountains of the Moon, Wynn Farmer’s story, just to check on how I had described the terrain of the high country of the Escarpment, as I am writing a short story set there. While I was searching for the passage I wanted, I noticed that I had described Widge as the northernmost navigable port on the River Fleet. Which means that Dervy can’t be the northernmost port, and the novel I am not working on for the duration of NaNoWriMo has a large plot-hole that won’t be fixed until December. Fortunately, it is set five hundred years before Wynn’s time, so I’m not going to scrap that portion. So, I just had a sharp reminder to check my work for inconsistencies while I still have the chance to either make them possible or remove them. Perhaps you think you don’t need a map. You aren’t writing fantasy, so the real world is your setting. If your characters are traveling and you are writing about their travels, you want to be accurate. Google earth and a good map will help, as will timetables for trains and airlines. In my books, people are going hither and yon with great abandon, and if I am not really on top of it, the names of towns will evolve throughout the novel. The basic pencil-drawn map, in conjunction with my style-sheet, is my indispensable tool for keeping the story straight. I just have to keep referring back to them, rather than trying to keep it all in my head. What is a style-sheet? 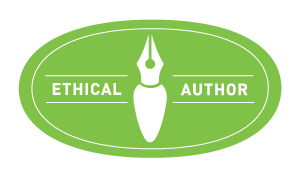 When a manuscript comes across their desk, editors and publishers create a list of names, places, created words, and other things that may be repeated and that pertain only to that manuscript. This is called a style-sheet. The style-sheet can take several forms. It’s a visual guide to print out or keep minimized until it’s needed. I copy and paste every new word or name onto my list, doing this the first time they appear in the manuscript. If I am conscientious about this, I’ll be less likely to inadvertently contradict myself later on in the tale. I also do this for my clients when I edit a manuscript. Some people use Scrivener. I prefer to keep it simple, so I just use Excel for this because I like keeping my maps and the glossary in the same workbook. Google Docs works just as well, and it’s free, or you can just keep a list on a document or notepad. What if your setting is indoors, such as an office, a mansion, or a hotel? You want to make sure the rooms and corridors that get mentioned in the narrative aren’t described in a contradictory way. If a room is next to the kitchen in the opening scene, it should still be there at the end of the story, barring a tornado. 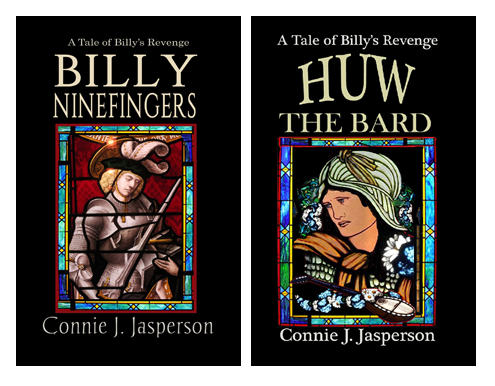 Billy Ninefingers is set in a wayside inn. I made a drawing of the floor plan for my purposes because the inn is the world in which the story takes place. If you are writing a space opera, map out your ship or station, just for yourself. As a side note, if you are writing fantasy, I suggest you keep the actual distances mushy because some readers will nitpick the details, no matter how accurate you are. Therefore, a league is what you say it is, within some loose parameters. I go with the distance you can walk in an hour, which means you must take the terrain into consideration. In my current work, I don’t even mention distance by measure. Instead, I use time—they travel for an hour, or day, or two days. Not everyone is an artist. Perhaps your work is set in a fantasy world, but you feel your hand-drawn map isn’t good enough to include in the finished product. One option is to go to a game designer’s map generating site, play around with it until you find a map you like, then write the story to that map. Another option indie authors might consider is hiring an artist to make a map from their notes. I’m fortunate to have some skill as an artist, so my pencil-drawn map always evolves into artwork for the book. Wikipedia contributors, “League (unit),” Wikipedia, The Free Encyclopedia, https://en.wikipedia.org/w/index.php?title=League_(unit)&oldid=865343305(accessed November 4, 2018). Map of Neveyah ©2015 Connie J. Jasperson, All Rights Reserved. Hello! I’m glad you enjoyed it. Thank you for stopping by today! Thank you for the reblog, Chris ♥ It’s a dark and rainy day here, but you made it cheery! oh yes, I have run afoul of the “keep your names and characters in a different sheet” curse. A great post and a timely reminder to me. Hello! My first real professional editor chewed me out for not having one–when she stopped shouting, she made it for me and ever since then, I have done my best to heed her advice! Not to boast but I have never made such a chart prior to or during the first draft. It’s all in my head, because I’m living with them and they chastise me if I should get it wrong. I do, however, run specific searches to correct inconsistencies of spelling in proper nouns. You are a paragon, Herr Professor! I have a mind like a steel trap with the doors left open!